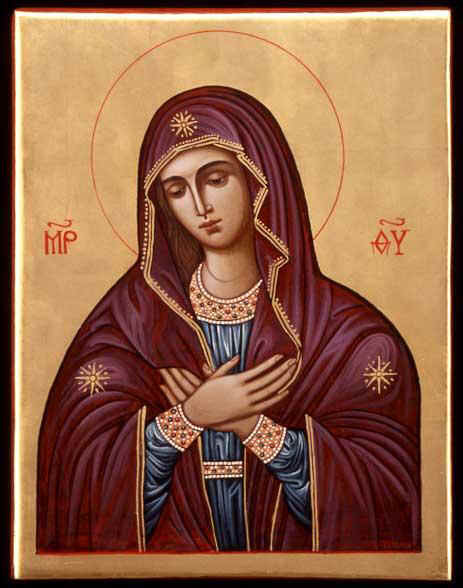 Blessed are You among women for You have born the Saviour of our souls! 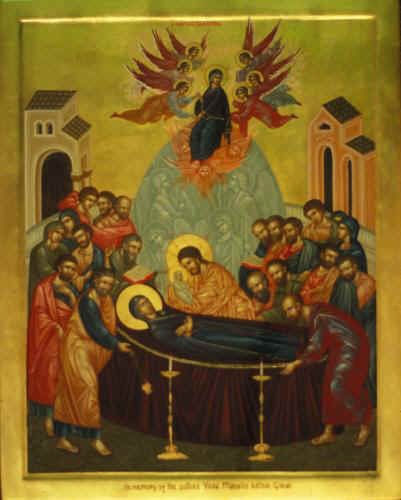 In 431the Fathers of the Third Ecumenical Council met in the city of Ephesus to deal with the heresy of Nestorios, Archbishop of Constantinople, who rejected the title "Theotokos" for the All-holy Virgin. 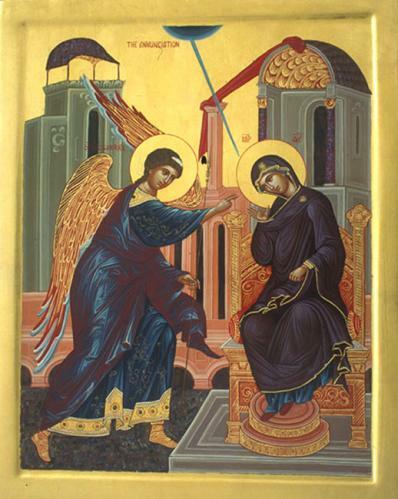 She was, he claimed, only the mother of the humanity of Christ. Led by Cyril, Archbishop of Alexandria, the Council declared the orthodoxy of the title and the doctrine it implied. St Cyril preached a sermon, extolling the glory of the Mother of God in her church in Ephesus, the city which had been the centre of the cult of the pagan goddess Artemis and where she had lived with St John the Evangelist. 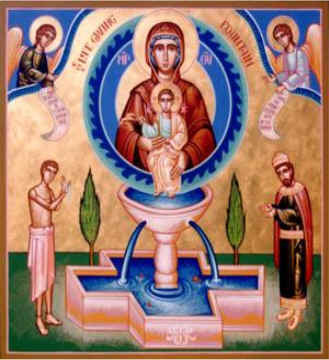 St Cyril's sermon was used as the basis for a longer sermon in praise of the Mother of God by a later, anonymous, writer. What follows is an extract from this sermon. rest and repose of those who are near and those who are far off. Hail, unsullied vessel, filled with sobriety. For it was to you as a virgin to whom our Lord Jesus Christ when hanging on the Cross entrusted the Mother of God and ever-Virgin. Virgin Mother, Bearer of Light, unsullied Vessel. servant through the One who took the form of a servant. though your gate had been shut. For you conceived without seed, while you gave birth in a manner fitting God. "Holy your temple, wonderful in justice". Hail, Mary, treasure of the inhabited world. Hail, Mary, the unsullied dove. Hail, Mary, the unquenchable lamp. For from you the Sun of justice has been born. who sprouted without plough or seed the unfading ear of corn. "Glory to God in the highest, and on earth peace, goodwill among men". 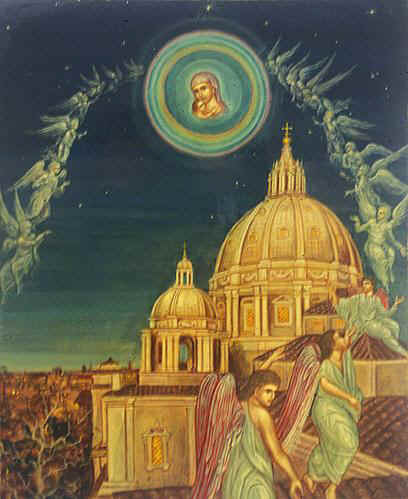 Archangels leap for joy as they raise awe-inspiring hymns. because of whom Magi, guided by a shining star, give adoration. and the lamp worshipped the Light that never sleeps. of which the Apostle cried, "The saving grace of God has appeared to all men". "I am the light of the world". for those who sat in darkness and shadow of death. As Scripture says, "The people who sat in darkness have seen a great light". the true light that enlightens everyone coming into the world. because of whom churches of the Orthodox have been founded in cities, villages and islands. through whom came forth the conqueror of death and the destroyer of Hell. set right his transgression and was the guide to the kingdom in heaven. 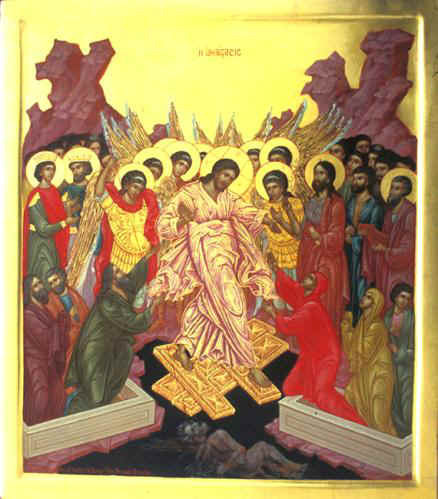 through whom the beauty of the resurrection flowered and shone out. through whom flowed in Jordan the dread baptism of sanctification. through whom John and Jordan were sanctified and the devil disgraced. 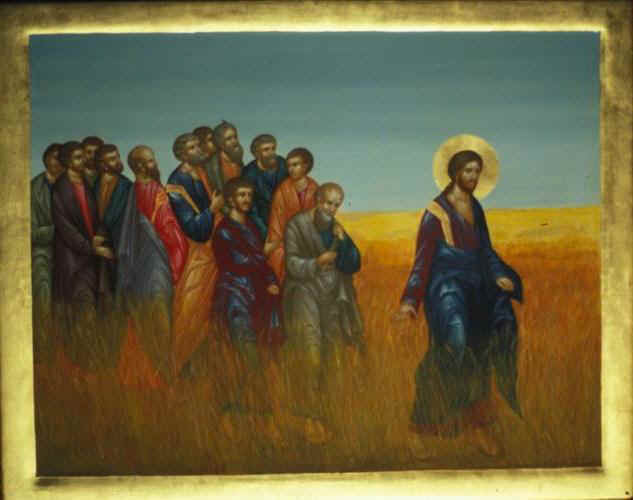 because of whom the twelve rayed beauty of the Apostles was chosen. through whom everything that has breath and believes is saved. carried our fellow servants and fellow ministers with joy and gentleness. "How beautiful are the feet of those who preach the Gospel of peace!" in falling asleep, Mother of God, you did not abandon the world. and by your prayers you deliver our souls from death. Introduction and translation of text by permission of copyright © of the Very Rev. Archimandrite of the Oecumenical Throne Ephrem Lash. 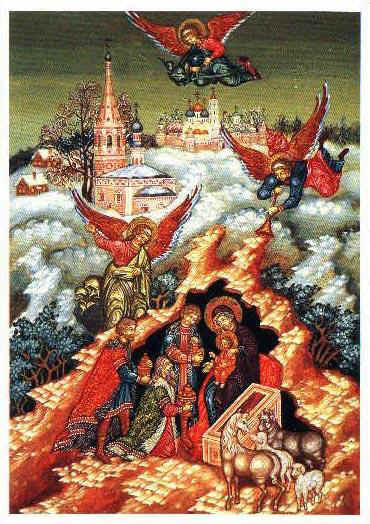 Also appeared originally in Light of Christ, Newsletter of the Orthodox Church of St. John the Baptist and St. Anthony, London. 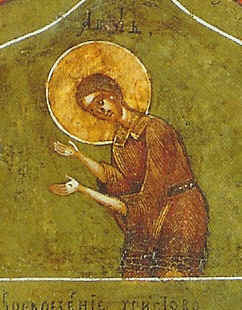 Icon of St. John The Theologian, polyptych, detail, end of 1700. With thanks to Archimandrite Gregory for the icon of The Life-giving Spring. Editorial presentation ORTHODOX CHRISTIAN COMMENT.